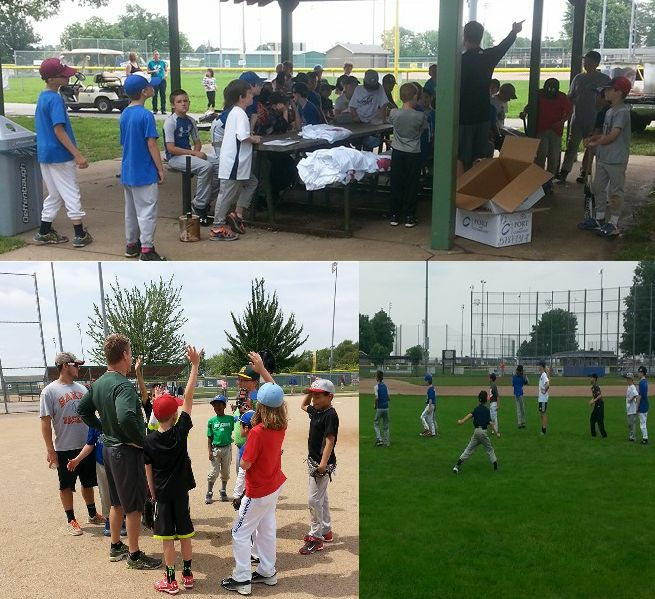 There are many great baseball camp opportunities available through Johnson County 3&2 Baseball this summer. For players in K-5th grades, 3&2 runs camps at the East Complex starting June 3rd. For players currently in the 6th-8th grades, many of the local high school coaches have camps at their schools for players that will be attending that high school. If your school isn't listed, that coach does not run a camp through the 3&2 program. You are always welcome to attend camps outside of your high school area. Many of these camps, much like several of the winter hitting camp sessions, will fill up. With registration deadlines quickly approaching, now is the time to sign up! To view all the camp opportunities this year, their corresponding dates, and locations, click here. Need a job that allows you to grow and stay involved in the game you love? Join the 3&2 Baseball Umpire Family! Register today for our first of three 3&2 Umpire Training Academies for new or beginning umpires. You must currently be in 8th grade or older to participate. $25 registration fees includes training, materials and upon completion of the class, an umpire hat and shirt so you are prepared for your first games! Click here to learn more and register for our next Umpire Training Academy. Do you have a pre-schooler in your family that wants to play T-Ball? 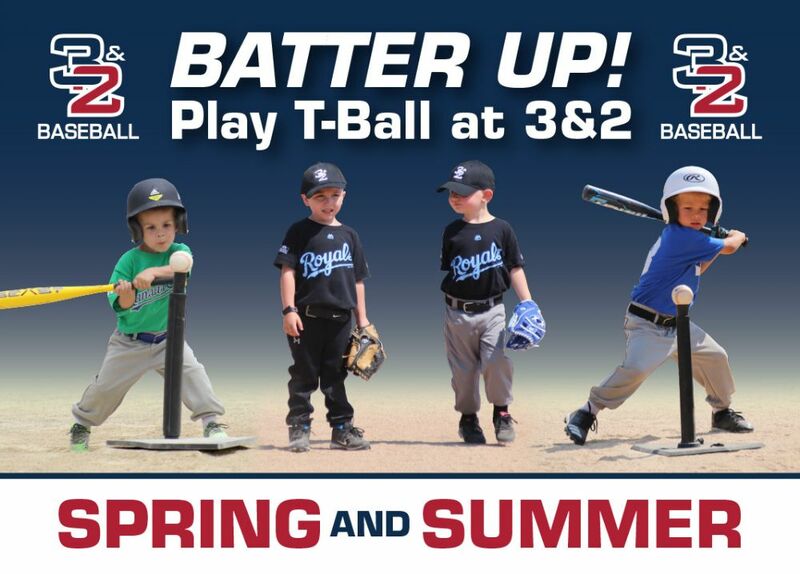 The 3&2 Baseball Club of Johnson County is offering two sessions of T-ball in 2019. The spring session will begin April 6th and run thru May 18th followed by our summer session starting June 1st and running thru July 13th. Registration is already underway and the deadline for spring registration is March 15th, and the deadline for summer registration is April 30th. To register, click on the orange, REGISTER NOW button on the home page of the 3&2 web site. Parents are needed as coaches and managers for these teams. Put together your own team or build a team from players that sign up through open registration. 3&2 provides everything you need, including equipment, uniform t-shirts and hats! Players need to be four years old by June 1st to be eligible. Teams are formed by high school boundary area and games are played on Saturdays near the team's home area at the following locations.